Here at Autosonics, we believe in installing only the best products in our customers' vehicles. 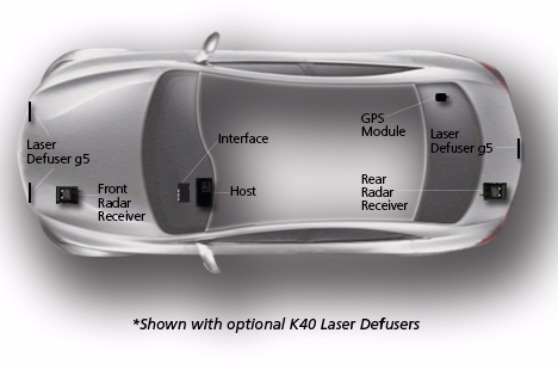 When it comes to Radar Detection, the name that always comes up as the top brand is K40. Autosonics is proud to be a Premier Certified K40 Dealer with hundreds of installations under our belt. The K40 RL360i is the ONLY radar and detection system in the world that has both front and rear radar receivers. These dual receivers provide directional awareness and increased range to keep you protected from radar threats at every angle. When installed with the Laser Defuser g5, you get a 360º Force Field of Protection from every kind of police radar and laser used today. Discreet, Custom Installation. Your K40 radar systems are installed by master technicians, ensuring that your system is discreetly and expertly integrated into your vehicle's cockpit. LED Brightness Control -- 5 customizable LED brightness settings. Allows you to adjust the intensity of the LEDs depending on the time of day or your visual preference. It's Invisible! -- You'll only know it's there when you need it. 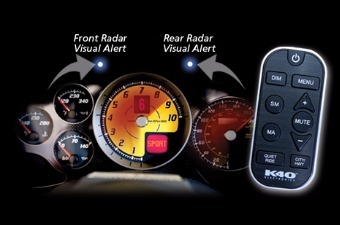 Unlike any other radar detection system or portable radar detector on the market, the K40 RL360i is invisible. No plugs, wires, or unsightly boxes to compromise the design of your automobile's interior or draw the attention of police or vandals. 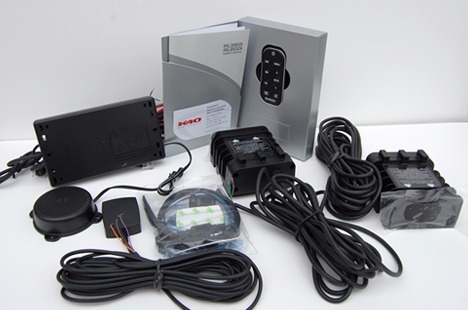 Customized for your Automobile -- The make, model, interior, accessory package, and even color of your vehicle will determine its components, programming, and installation. Autosonics is an expert you can trust. Customized for the Way you Drive -- Where do you live? What is your primary driving environment? Urban highways and city streets? Rural roads and low traffic interstates? On the open road, how fast do you typically drive? Who else drives your automobile? The K40 RL360i features, some of them noted below, can all be programmed and customized for your automobile and the way you drive. Mark to Alert -- The K40 RL360i allows you to build your own database of locations that are important to you. Mark to Alert for locations such as dangerous intersections, speed traps, school zones, and portable speed cameras. Quiet Ride -- The K40 RL360i allows you to set a minimum MPH detection speed that eliminates all audible alerts until the vehicle exceeds that selected speed. Quiet Ride is ideal for long road trips or when you only want to be alerted if you exceed a certain speed. Speed Monitor -- This feature gives the driver a constant audible alert whenever a preselected speed is exceeded. The interior LEDs will also illuminate. Great for young/new drivers or accidental lead foot. Self-control. Parental control.